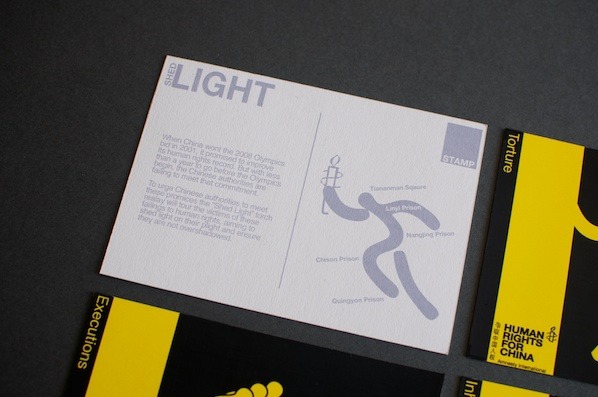 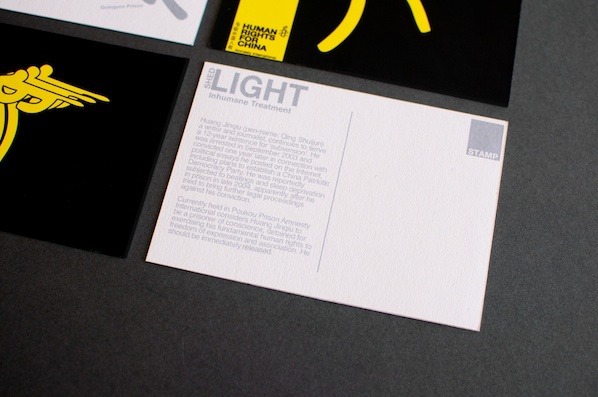 Shed Light is a conceptual campaign set to run parallel to the 2008 Olympics in China. 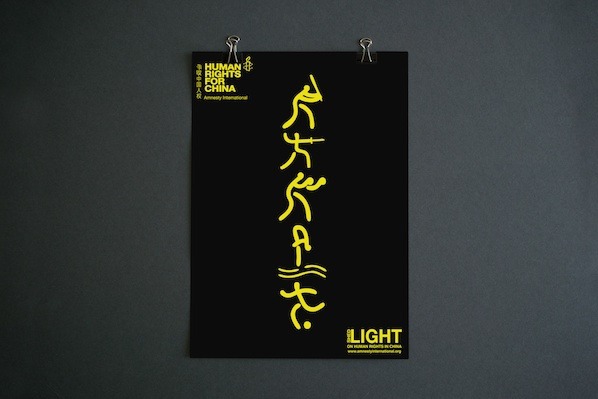 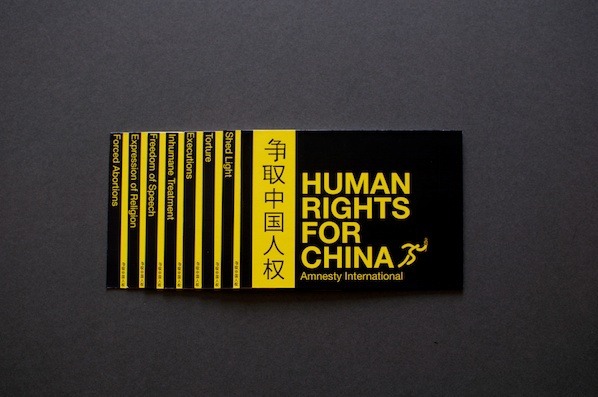 As many critics were accusing China of using the Olympic games to overshadow alleged human rights violations I thought it would be appropriate to hi-jack the visual identity of the games and apply it to the campaign. 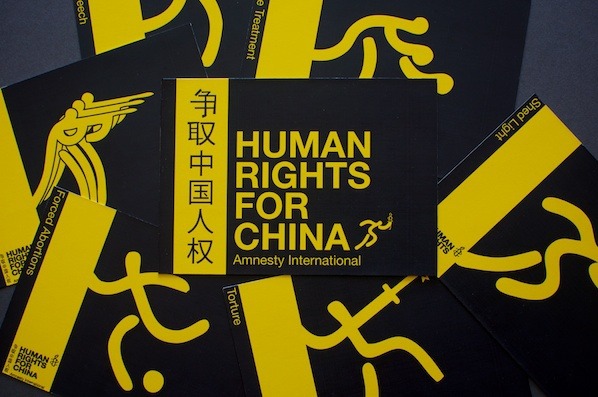 I used the official pictograms of the games to highlight individual areas of concern along with a campaign trail that would mimic the official torch relay, visiting individuals that Amnesty International believed to be at risk. 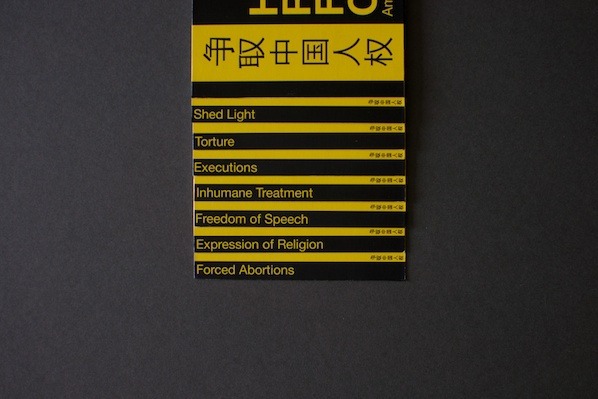 This was all tied together under the visual style of Amnesty International. 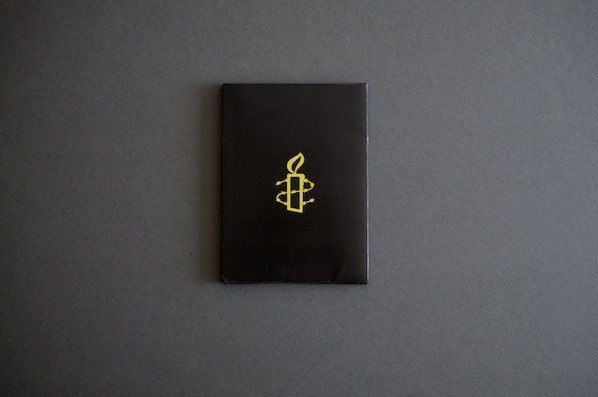 I created a simple promotional pack drawing on Amnesty International's current brand identity and the visual identity of the Olympic Games. 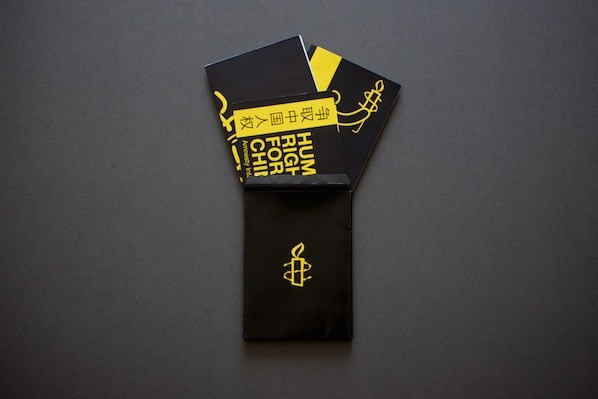 The pack contains a small booklet explaining the campaign. 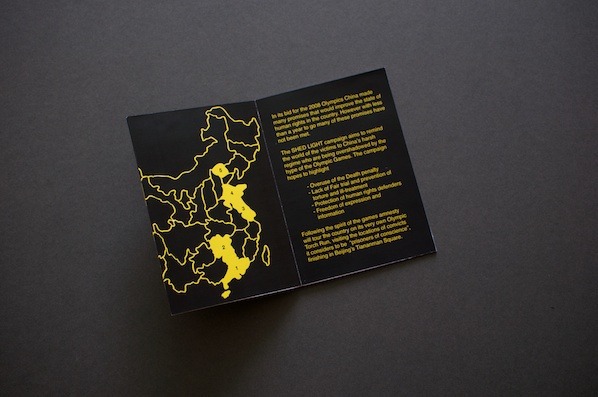 Inside the pack are a series of postcards highlighting different areas of the campaign. 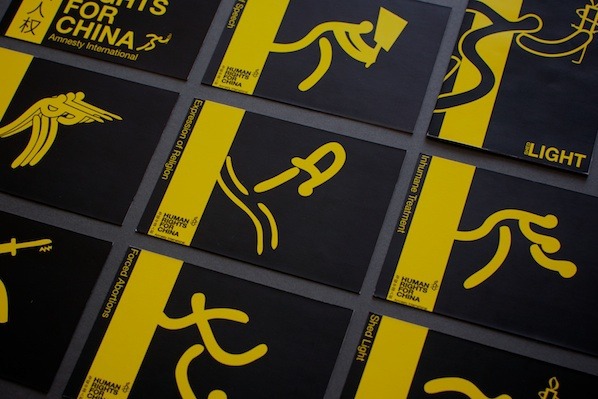 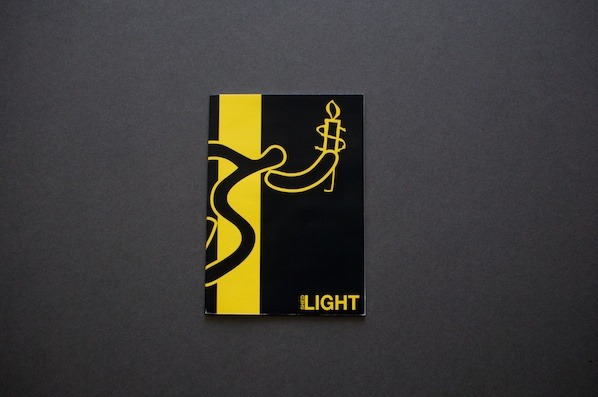 Each postcard uses the official pictogrammes of the Olympic Games to highlight a different human rights violation.